Raphael Mercier aims at understanding the different aspects the cell division at the heart of heredity, meiosis. 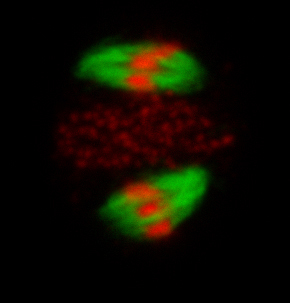 Using genetic approaches, he and his group are deciphering the mechanisms of meiotic recombination, cell cycle regulation and chromosome segregation. Meiosis is an essential stage in the life cycle of sexually-reproducing organisms. Indeed, meiosis is the specialized cell division that reduces the number of chromosomes from two sets in the parent to one set in gametes, while fertilization restores the original chromosome number. Meiosis is also the stage of development when genetic recombination occurs, thus being the heart of Mendelian heredity. Increasing our knowledge on meiotic mechanisms, in addition to its intrinsic interest, would have also important implications for agriculture and medicine. 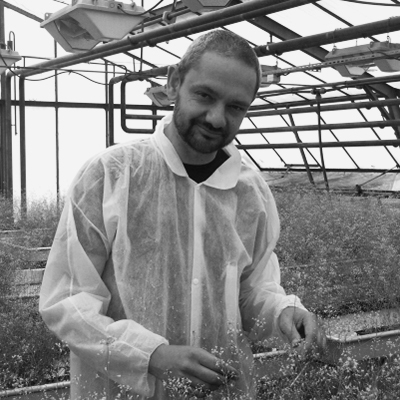 In the last decade Arabidopsis emerged as one of the prominent models in the field of meiosis. Indeed, the meiotic field benefits greatly from a multi-model approach with several kingdoms represented, highlighting both conserved mechanisms and variation around the theme. Arabidopsis emerged as a very good model to study meiosis, notably because of the possibility of large scale genetic studies and the wide range of molecular and cytological tools. Raphaël Mercier and his team aim at deciphering meiotic mechanisms, including recombination, cell cycle and sister chromatid cohesion modifications, and their functional relationships. To achieve this goal, they are conducting various genetic screens and characterizing the key players that they identified.